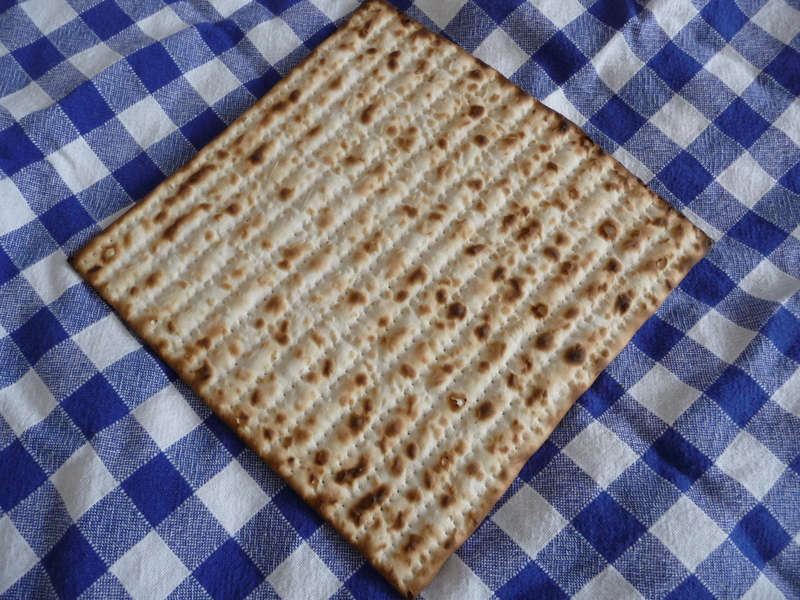 Matzoh, unleavened bread, is eaten in place of bread during Passover to remind us that Hebrew slaves fled Egypt so quickly that their bread did not have time to rise. Passover is a holiday full of symbolic foods to help recall the story of the Jewish Exodus from Egypt. It’s a favorite holiday of most Jews, including secular ones, for its meaningful ritual and celebration of spring, life and freedom. When I think that people have celebrated this holiday in this way for more than 2,000 years, it never fails to move me. During the seder, a ritual meal, the story of the Exodus is retold using special foods on the seder plate as edible reminders. One of those foods is charoset (you don’t pronounce the “c” but it makes the “h” more guttural), a mixture of apples, nuts, wine and cinnamon that is said to represent the mortar the Hebrew slaves used in building structures for their taskmasters in ancient Egypt. There are actually many varieties of charoset made around the world, some with sugar or honey, some with dates or other dried fruit, some cooked for a long time and some that look a lot more like mortar than my family’s version. 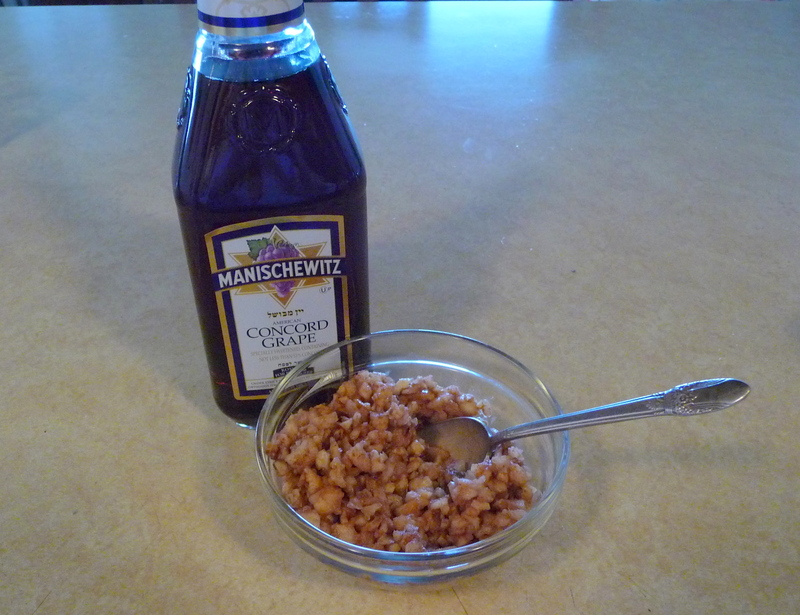 Ours is simple: Just mince apples and walnuts, add some sweet wine (yes, Manischewitz is traditional) and cinnamon. Making the charoset this morning, I used this old-fashioned nut chopper with a spring, which I use only once a year. Actually there are two choppers, and I think the other, a double handled curving affair works better for the apples, I think. I inherited both from my mother. Usually, I try to avoid cluttering my kitchen with things I use so seldom, but the nut choppers definitely get a pass. They are tangible reminders of my childhood, when my mother always gave me the pleasurable assignment of chopping the apples and nuts for charoset, using the special nut choppers and a wooden bowl. How many apples and nuts, how much wine and cinnamon? There is no recipe; just do whatever seems right. 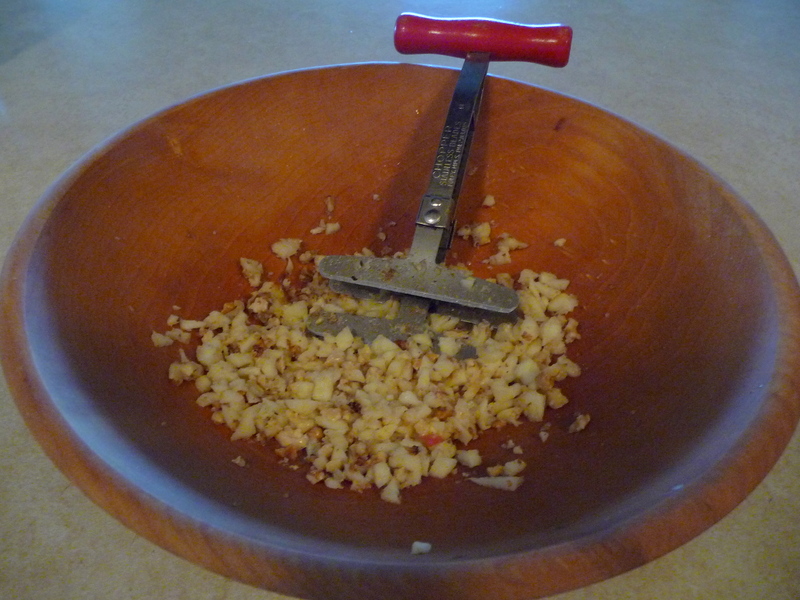 Memories flooded back as I chopped the sweet apples and walnuts with the springy nut chopper, and remembered all the things my parents did to prepare for Passover, as well as all the things they kept that we would use only once a year during the holiday. Two complete sets of dishes (as they kept kosher and needed separate dishes for the holiday), two sets of silverware, pots and pans — we hauled all of these up from the basement in a series of orchestrated loads, while my parents taped up the cabinets holding the usual dishes, pots and pans so they would be clearly off limits. Anything from the rest of the year that had to be used during Passover was “kashered,” a ritual that captured our rapt attention on the night before the holiday. A giant pot, containing the items covered in water, was set in the middle of the kitchen floor, while my father heated a large stone on the kitchen burner until it turned blazing red. Then, handling it with tongs, he dropped it into the water. Sitting at a safe distance on the stairway steps, we watched with fascination as the water erupted into a furiously bubbling boil. 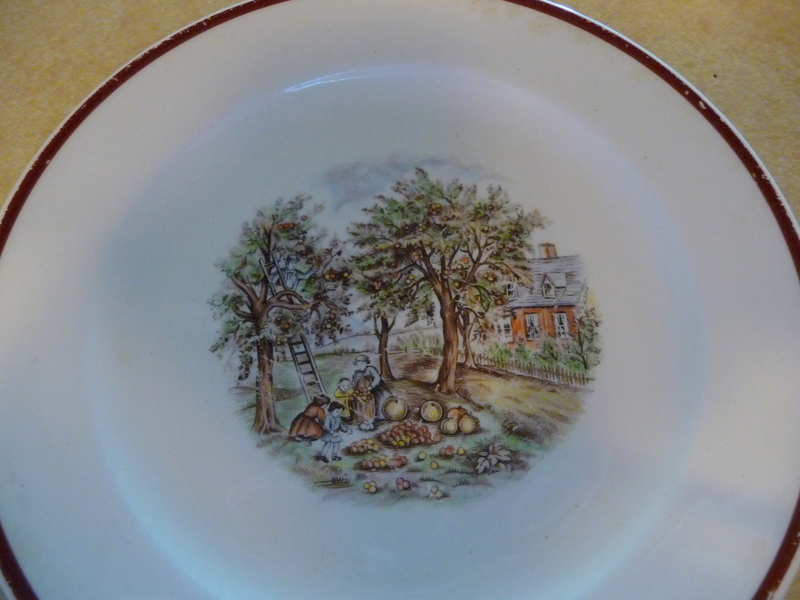 This was my favorite of the Passover plates, with an image of apple pickers! I think my mother might have gotten these dishes with A & P Grocery store coupons. I used to like to try to count all the apples in the picture before or after eating. Though I love bread and baked goods (as anyone who has read this blog knows) I enjoy the restrictions of Passover too–and all the edible and tangible memories it brings with it. For a sweet treat–since one can’t make the usual pies, cakes and cookies–sometimes I make meringues, adding grated orange zest to the recipe below. I also often love making a chocolate nut torte, with no flour — a cake with a great history, which I’ve written about here. And this year, I am bringing a fruit salad and some non-traditional but very popular matzo-toffee-crunch (click the link for a recipe) for dessert to Seder at a friend’s home. Whatever you decide to make for Passover, it’s best not to get too stressed about a holiday that celebrates freedom. And I always try to find some calm and quiet moments to contemplate the Passover apple plate, and see if I can count all the apples…..
Preheat the oven to 275 degrees and lay a sheet of parchment paper (or aluminum foil) atop a cookie sheet, and lightly flour with matzo meal. Whip the egg whites with the cream of tartar until they form soft peaks; then add 1/2 cup of sugar, beating until whites are very shiny and gradually adding the rest of the sugar in two batches. Fold in the nuts and the chocolate (and if you like, some grated orange rind), and spoon the mixture in mounds on the baking sheet, using about one tablespoon for each meringue. If you like, place a pecan or other nut half on top of each one (I didn’t do that). Bake for 30 minutes; then reduce the oven to 250 degrees and bake another 30 minutes until firm and dry and easy to remove. Cool and store in an airtight container. 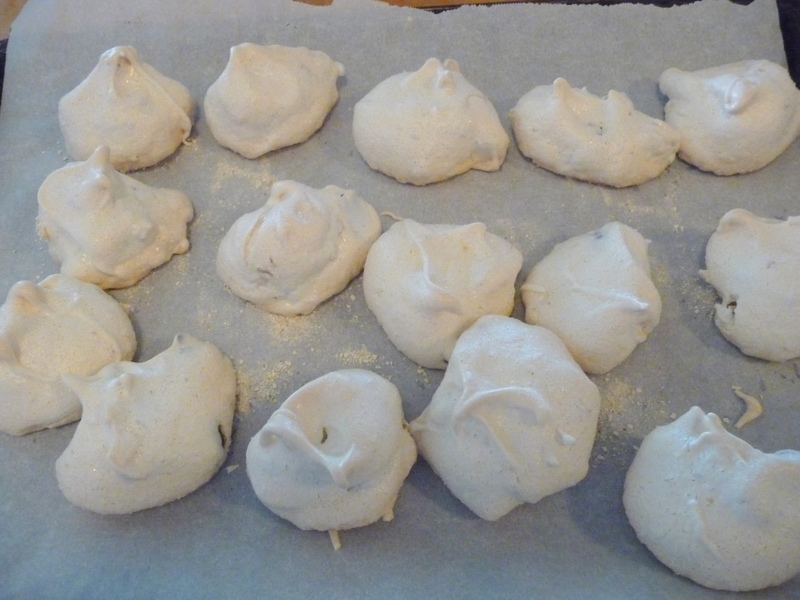 If meringues become sticky, you can re-crisp them in a 200 degree oven for 30 minutes. THE KITCHEN AT OUR little one-month rental is woefully inadequate. There’s hardly room for any supplies and only the most basic cooking equipment is provided. Yet, I’m not complaining. Who can complain about being near the beach in Southern California in February? There are farmers’ markets every week here — in the winter!– and that makes it easy to keep things simple (which is always my inclination anyway). Fresh vegetables (cauliflower, broccoli, chard, turnips, potatoes, lettuce, radishes…) roasted, steamed or in a salad can accompany a rotisserie chicken, pasta or rice. Dessert is often a delectable orange or some sweet-tart mandarins. When it comes to baking, the tiny kitchen is trickier — and I have cooked and baked in tiny kitchens before (think 16-foot travel trailer) but never one this inefficient and poorly supplied. Bread-baking was out, but I didn’t want to entirely give up on quick breads like scones and biscuits. And anyway, I like the challenge of finding work-arounds for what’s missing, the satisfaction of making do, as generations before me have done! For biscuits this Sunday morning, I was glad that I’d already stocked some all-purpose flour, baking powder and baking soda, salt and butter. I was missing buttermilk, but I stirred plain yogurt and milk together to make an approximation of buttermilk (one can also use milk with a little lemon juice). I used a coffee cup for my cup measure, and a regular teaspoon to approximately measure the soda, baking powder and salt. I cut the butter into the flour mixture with my fingers, added the yogurt-milk mixture and–because I wanted to make “Everything biscuits,” some of Trader Joe’s “Everything but the bagel” mix (a mixture of sesame, poppy, dried onion, garlic and salt). I rolled out the dough using an empty bottle, cut it into rounds with a small drinking glass. I lacked the pastry brush to brush a little milk on top so the seeds would stick to the biscuits, so I once again used my fingers. The oven took a little adjustment, as I had no idea how accurate it was, but miraculously, after 10 minutes of baking, I had the cutest little tasty biscuits to accompany the fruit and yogurt and the Sunday paper. Still, even though these biscuits didn’t require so much equipment, making them made me really appreciate all I did need and have: a large bowl, a functioning oven, a baking sheet, and–most essential and amazing–my two working hands. Heat the oven to 450 degrees. Mix the flour, salt, baking powder and soda together in a bowl and cut or rub in the butter until it’s in little pieces the size of peas. Stir in the buttermilk with a fork until the mixture comes together as a moist, but not sticky dough. Turn onto a floured board and knead just a couple times (you never want to overwork a baking powder/soda dough). Roll out the dough about 3/4″ thick with a rolling pin (or a wine bottle if you don’t have a rolling pin), cut into biscuit shapes with a biscuit cutter or the rim of a glass dipped in flour. You’ll have 10 to 12 biscuits or so depending on the size. Any leftover dough can be just formed by hand into a little patty (or you can make them all this way). Bake on an ungreased cookie sheet for about 10 minutes (check sooner if your biscuits are small), or till they’re golden. Serve hot. Tip: I like to roll out the dough, then fold it in half and roll again. 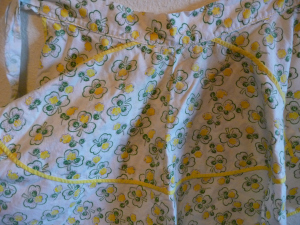 This makes it so the biscuits break open neatly in the middle when you want to put on some butter, jam, honey, etc. SOMETIMES it is refreshing not to cook, but rather to assemble a few choice items together on your plate. Such was this light lunch after a bicycle trip to the local farmers’ market, where we got the fresh snow peas, radishes, cucumber and a loaf of delicious hearty Mountain Rye from Raven Breads. We already had some butter and cheese to complete the late spring/early summer plate. The fresh colors of the peas, cucumber and radishes looked especially attractive, I thought. And it all tasted as fresh and lovely as it looked. Just in case that lunch seems a little too minimalist, let me assure you that last week I also embraced the late-spring/ almost-summer season more decadently with my usual passion for rhubarb pie. It was delicious — and all too quickly devoured, before I even thought about getting ice cream to go with it (unnecessary, it turned out). The filling: 4 cups of chopped rhubarb, scant 1 cup of sugar, 2 tablespoons of flour and some fresh orange zest. Dot with one or two tablespoons of butter before putting on the crust. As to the crust, I used about 1 1/4 cups flour, 1 teaspoon of sugar and a little salt, into which I cut 7 tablespoons of cold butter, then just enough ice water with a little bit of apple cider vinegar to hold the dough together. Refrigerate for half an hour, then roll out on lightly floured parchment paper or pastry cloth and cut into shapes or strips. MY RHUBARB-LOVE was not quite satiated, but I did find more rhubarb at the farmers’ market, and made a simple rhubarb sauce (again with orange zest). A dollop of that sauce with my yogurt is a more modest, but still satisfying, late-spring pleasure! Every year on Mother’s Day, my daughter used to make fruit salad for me. What a treat — the colors and flavors combining in a joyous medley. This year, she’s far away, but I’ll still be eating fruit salad tomorrow morning. Why not? Who says you have to wait for a holiday or for someone else to make it for you? Fruit salad is great any time — healthful and delicious. And there are countless variations to suit your taste. I like it with the simplest of dressings — a little lemon juice, some zest and a bit of sugar — or none at all. You can add other flavorings, spices, or vanilla; you can serve with yogurt or sour cream or crème fraiche; you can put nuts or dried fruit in your fruit salad, or whatever you like. Happy Fruit Salad Day to you! It’s time for a St. Patrick’s Day post — so I’m recycling this one from 7 years ago. I just made my favorite green soup (parsley-potato) and I’m keeping things simple this year, with a toast to my Dad and the idea of America welcoming immigrants! ONE OF MY FAVORITE THINGS about summer is my everyday breakfast. It’s simple: plain yogurt, topped with fresh fruit and granola. But each day I enjoy it with seasonal fruit– raspberries, blackberries, blueberries, apricots, peaches, plums or pears — and I consider it a treat! These days I just make a more classic granola, using a mixture of oil, maple syrup, vanilla and cinnamon to coat the oats, and add a healthy dose of nuts and seeds. It’s not the richest granola you will ever taste (I know someone who makes granola with butter rather than oil, for example) but it’s pretty darned good. Oh– and is it caloric? Yup, I’m sure it is, but if you just use it as a topping, you can justify that little luxury, can’t you? This recipe will just about fill a quart jar of granola. Or put some in a zip-lock bag and take it with you on a road trip, on the plane or camping. Make a double batch and share with friends. You can easily adjust the nuts, seeds, spices and dried fruit to your taste (for example, I don’t use almonds as Steve is allergic to them; but hazelnuts or walnuts are great alternatives). With this recipe and some fresh fruit, it just may be summer all year long! Combine the oats, salt and spice(s) in a large bowl. Stir in nuts and seeds to distribute. In a small pan (or microwave bowl) combine oil and maple syrup and gently heat to warm. Add water and vanilla; whisk together and pour over the oat mixture. Let cool in the pan atop a rack, then add raisins or other dried fruit if desired. Store in a quart glass jar or other container.